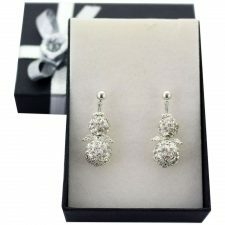 Beautiful Communion Jewellery, girls bracelet with chalice, perfect Communion gifts. 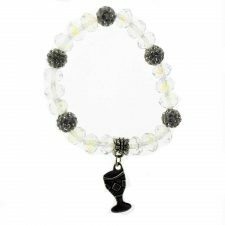 This Communion bracelet has 18 crystal glass beads interspersed with 5 glittering shamballa beads with a metal chalice, all on robust elastic treads. This Communion bracelet shimmers in the light as the crystal glass catches colours and reflections. 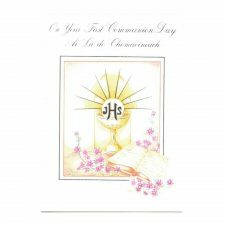 This is a perfect Communion gift for a little girl’s very special Communion day. 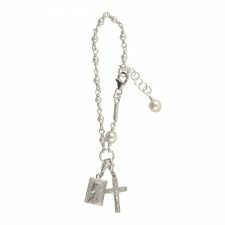 Beautiful Irish Communion bracelets for girls created in Co. Dublin, Ireland. 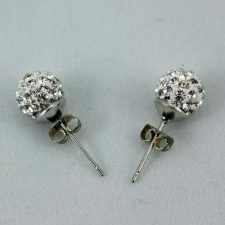 An ideal Communion gift for girls.